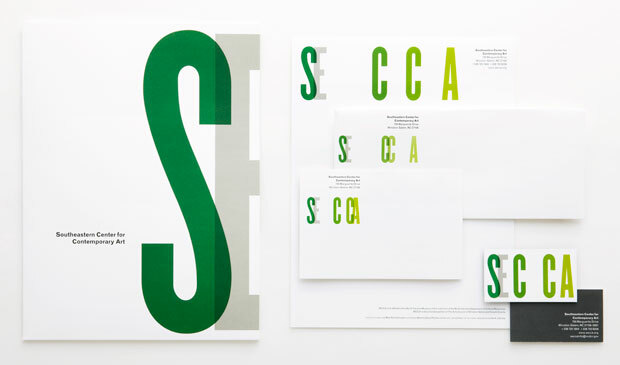 The design firm’s logo for the Southeastern Center for Contemporary Art forecasts a novel approach to branding in the digital age. Pentagram unveiled a fresh logo for the Southeastern Center for Contemporary Art recently, and it has that elusive quality brand designers are always trying to capture: movement. We mean that literally. The logo is animated. Its letters, in Monotype Grotesque, drift back and forth along a horizontal axis, sometimes bumping into each other, then overlapping, before splitting in opposite directions. SECCA is a newly renovated space in lush Winston-Salem, North Carolina, and it doesn’t have a permanent collection, which means that its galleries are constantly in flux. The logo is a clever expression of that identity. It also prompts the question: Is multimedia transforming branding? It makes sense. Branding is happening in the digital world. Companies want to appear forward-thinking, and exploiting the medium is a smart way to do that. Animated graphics, in particular, are a relatively easy and inexpensive strategy for making your name pop. It could alter how designers approach branding, too. The decision to change “SECCA” from all lowercase to uppercase had a lot to do with the constraints of animation itself. ‘We needed vertical letter forms to take advantage of the movement,’ Hayman says. “It allowed for more white space between the letter forms while keeping the over all proportion at a practical width.” So maybe this augurs the end of the bizarre trend in which companies articulate (usually false) folksiness through lowercase lettering? We hope?